“Hello, Housekeeping” were the words that woke us up. “You have to get up now”. We’re more or less over the 10 hour time change from Calgary, but this was the first time we’d slept soundly through the night. The morning game drive starts at 6:30 and I’ve never had to be woken up before. I thought we’d slept in and I wondered why my alarm had not gone off. “You need to leave now”. I looked at my watch: 1:36AM. “The water is coming up and you need to leave now”. There are two rainy seasons in Kenya: the Big Rain in March/April; and the Little Rains which is around now. It’s rained overnight many times since we arrived a week ago, but the days have almost always been nice weather. 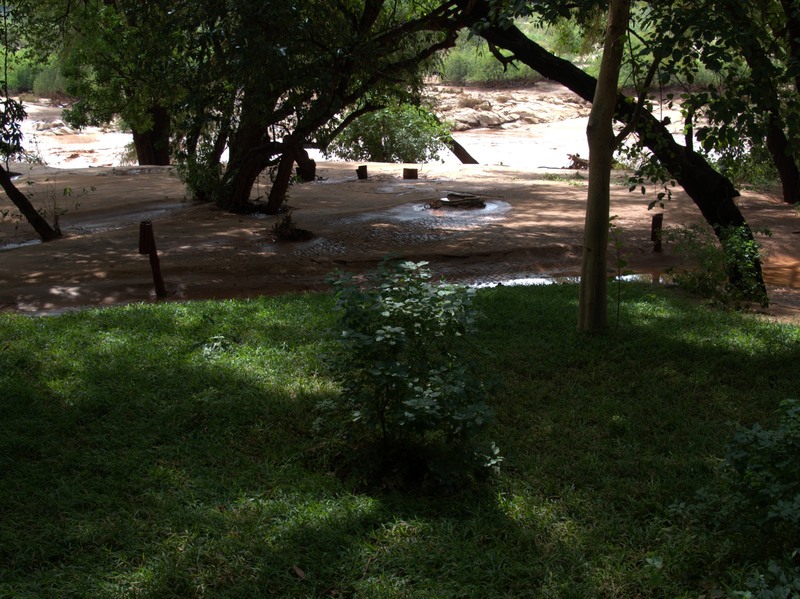 It had rained on and off yesterday evening, however, upstream it must have rained a lot. 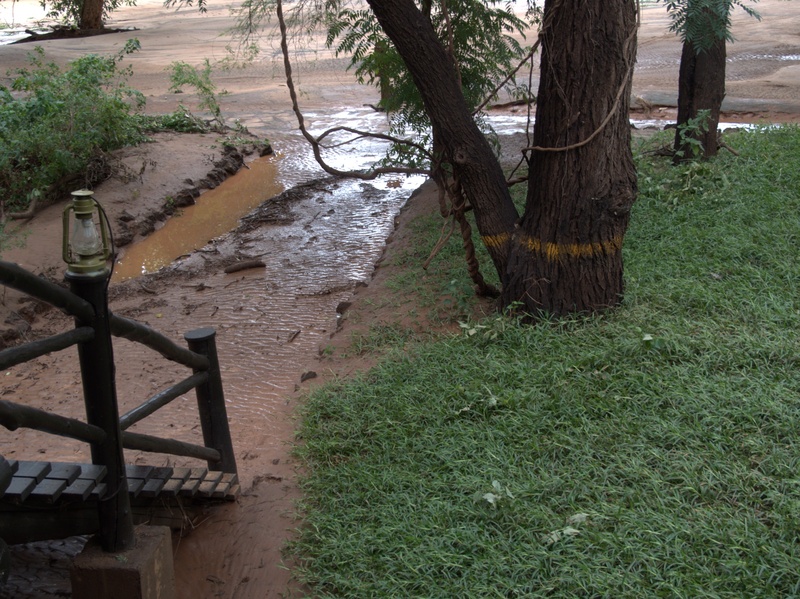 The hotel area floods continually in the big rains, and frequently in the little rains. It’s no big deal because everything is built on stilts. But we had to leave our old tent, which was closest to the river, and come back to a more central one. One other guest was evacuated from the tent beside ours, but the rest of the guests were fine. There was about a foot of water at ground level around the tent. We were carried to dry land with all our stuff. 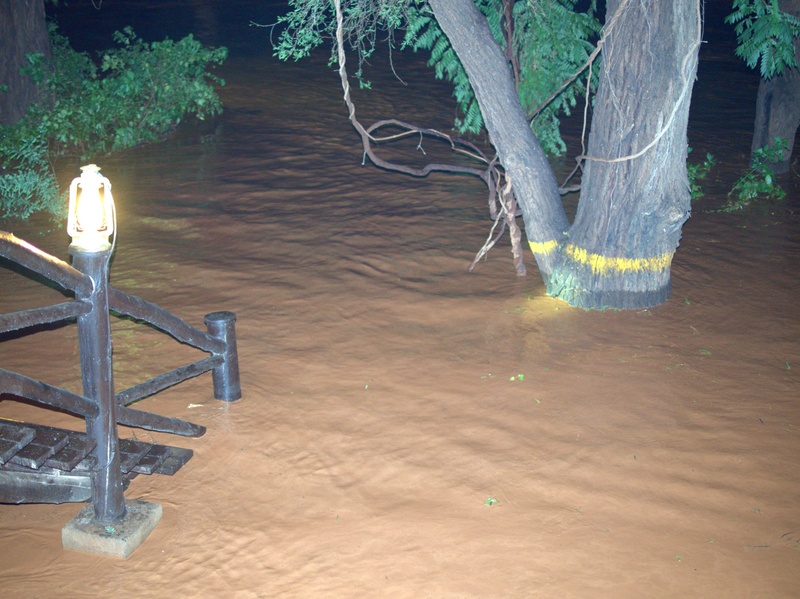 The water was within 6″ of needing to evacuate the entire camp… but by the time we got out, the level was dropping and hotel staff were no longer concerned. 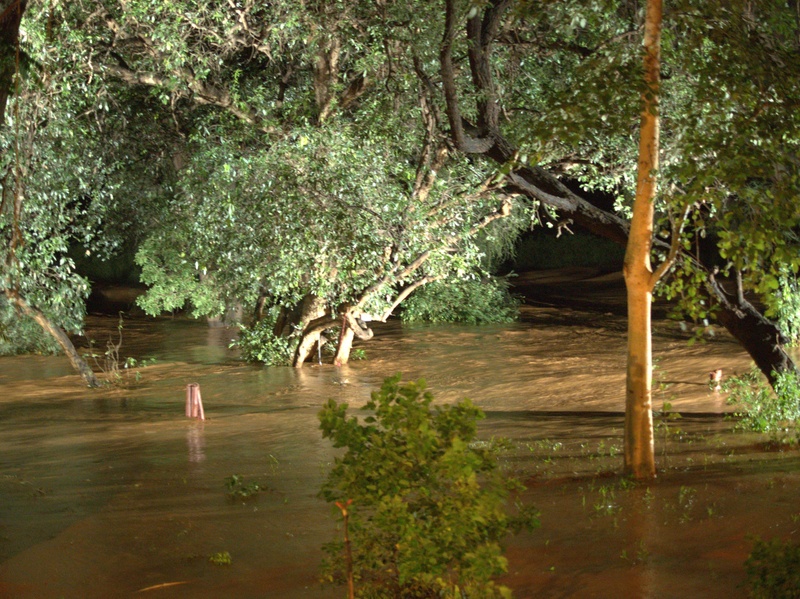 By this morning, the water flow was still high, but the level was back within the banks. We had a great game drive this morning. With breakfast done, Sarah’s gone back to bed!